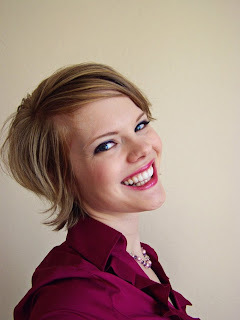 Mom, the Intern: Five senses Friday. I decided to make myself into a newscaster for church last Sunday. I normally hate lipstick, but I couldn't resist since it matched my mulberry shirt so perfectly. By the way, I love mulberry. It's the color of my personality. Touching: soft, delicious baby cheeks. 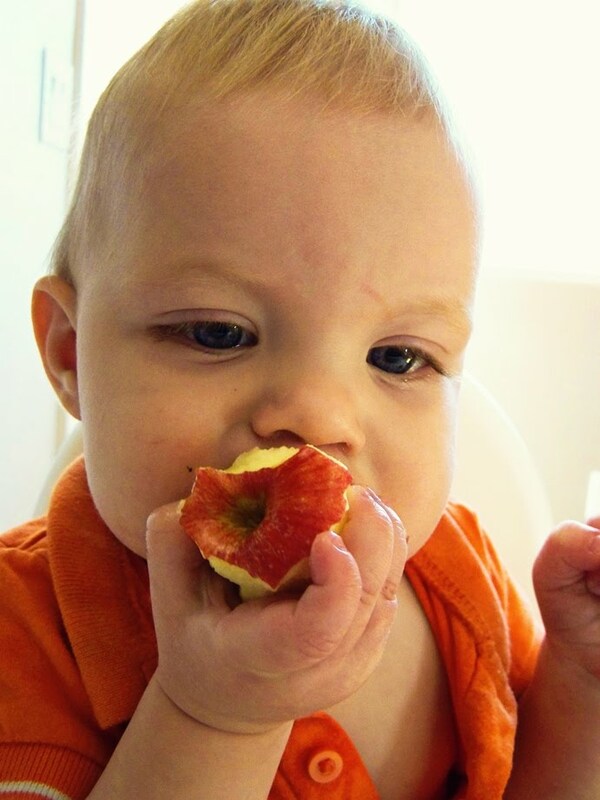 Is there anything cuter than a teeny baby chowing down on an apple? pretty lipstick. thanks for the shout-out! i love five senses. it's nice to pause and think about it every once in a while, you know? your hair cut is adorable! :) someday I will be as daring!